What’s the deal with Severus Snape? I’ve read all seven of the Harry Potter books – twice! And loved them! 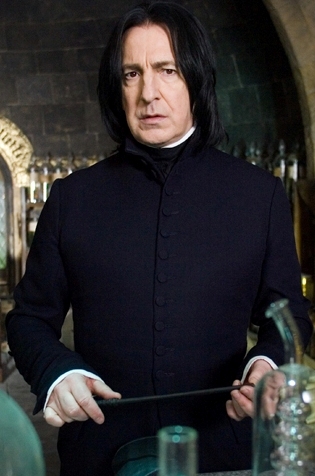 But I still don’t “get” what the deal with Severus Snape is. OK – I get that he loved Lily Potter, and was pretty cut up when Voldemort killed her having received the information of the prophecy from Snape. But is that it – is that really all there is to it? What makes Harry name his son after Severus, referring to him as the “bravest man he knew”? Yes, he lived a dual life, being Dumbledores right-hand man, but also Voldemorts. But is that the “bravery” he refers to – pretending to be a Death Eater? I guess I was just expecting something infinitely more concrete, more sinister perhaps, something that one would discover with a shock. I’m sorry, but it just doesn’t prove, really prove beyond all doubt – why Dumbledore had such an absolute trust in him. Perhaps there’s someone out there that can help me understand what i’m missing?